We are open 7 days a week. 11:00am - 6:00pm drop in any time! 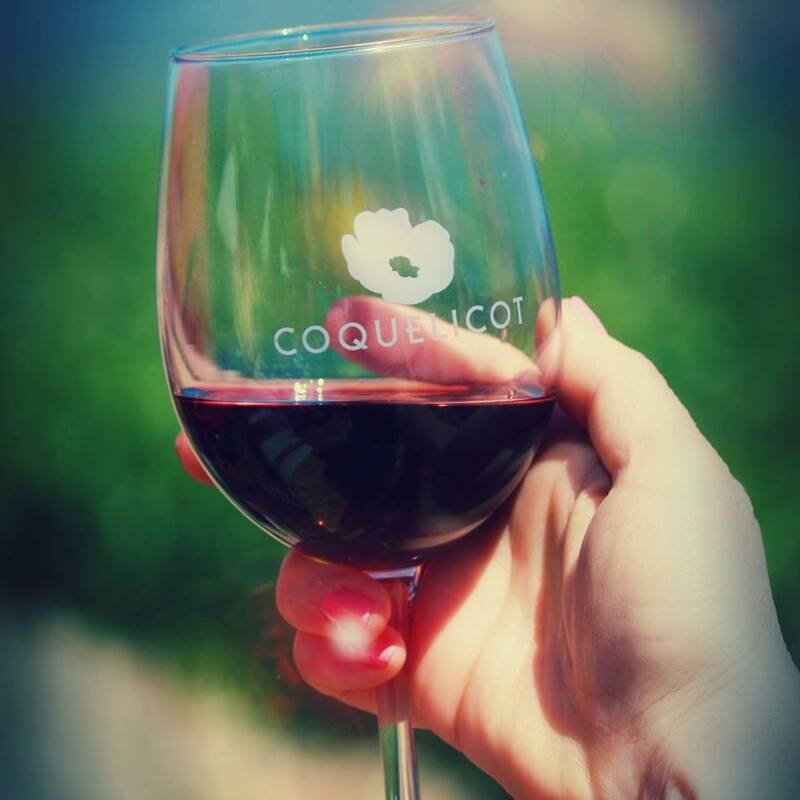 Developed in 1999, the Coquelicot Estate VIneyard lies just south of the historic Mission Santa Ines in the Santa Ynez Valley on California’s Central Coast. In 2007 we implemented sustainable and also organic farming protocols with the goal of obtaining our organic certification in 2010. Our vineyard crew strives daily to keep our vines healthy and happy and we believe in pushing our vines by applying just the right amount of stress to produce incredible character and flavor concentration in our grapes. Over the years more than a few couples have tied the knot in our vineyard and then danced the night away in our restored ninety year old barn.